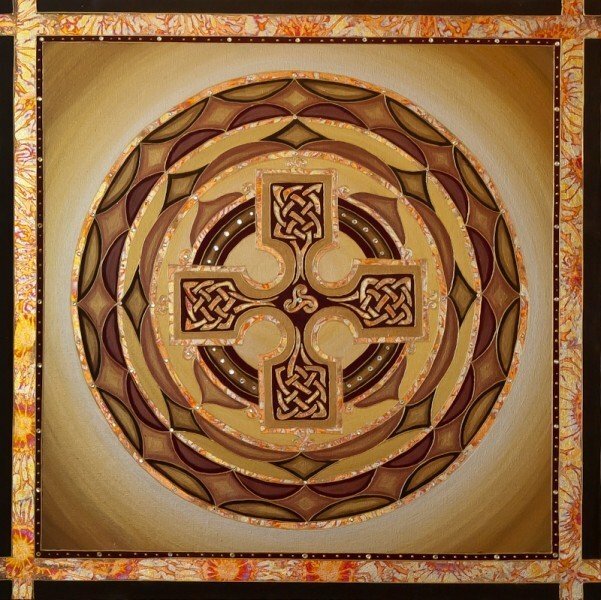 Celtic | Artwork – Store – Tammi B. Ph.D.
Hand painted mandala 24" x 24" acrylic, mixed medium, gold leafing and Swarovski crystals. Earthy tones with lots of bling and light. I created this image with the intention to get more centered and solid within myself, in my connection to others and with Spirit.